SDG indicator 15.1.2 measures the proportion of important sites for terrestrial and freshwater biodiversity that are covered by protected areas, by ecosystem type. According to the metadata document, establishing protected areas and safeguarding important sites contributes to protecting biodiversity and ensures the long term and sustainable use of terrestrial and freshwater natural resources. 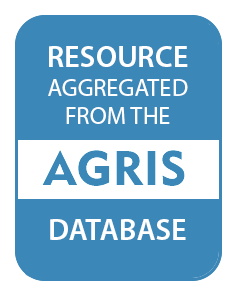 This indicator serves as a means of measuring progress toward the conservation, restoration and sustainable use of terrestrial and freshwater ecosystems and their services, in particular forests, wetlands, mountains and drylands. The safeguarding of important sites is vital for stemming the decline in biodiversity and ensuring long term and sustainable use of terrestrial and freshwater natural resources. The establishment of protected areas is an important mechanism for achieving this aim, and this indicator serves as a means of measuring progress towards the conservation, restoration and sustainable use of terrestrial freshwater systems. Protected areas, as defined by the International Union for Conservation of Nature (IUCN), are clearly defined geographical spaces, recognized, dedicated and managed, through legal or other effective means, to achieve the long-term conservation of nature with associated ecosystem services and cultural values. According to the metadata document, this indicator is calculated from data derived from a spatial overlap between digital polygons for protected areas from the World Database on Protected Areas (IUCN & UNEP-WCMC 2017) and digital polygons for terrestrial and freshwater Key Biodiversity Areas (from the World Database of Key Biodiversity Areas, including Important Bird and Biodiversity Areas, Alliance for Zero Extinction sites, and other Key Biodiversity Areas; available through the Integrated Biodiversity Assessment Tool). The value of the indicator at a given point in time, based on data from the year of protected area establishment recorded in the World Database on Protected Areas, is computed as the mean percentage of each Key Biodiversity Area currently recognised. This indicator measures the proportion of marine protected areas as a share of the total territorial waters in a country. This indicator measures the proportion of terrestrial and marine protected areas as a share of the total territorial area, including territorial waters, in a country. CANBERRA — A report from the U.N Environment Programme released last month seeks to make governments look beyond environmental law, and focus on gaps in implementation. WATER. The most basic necessity that most people take for granted because it is readily available by just a turn of the tap. But for some groups in Malaysia, safe drinking water and sanitation is not accessible. 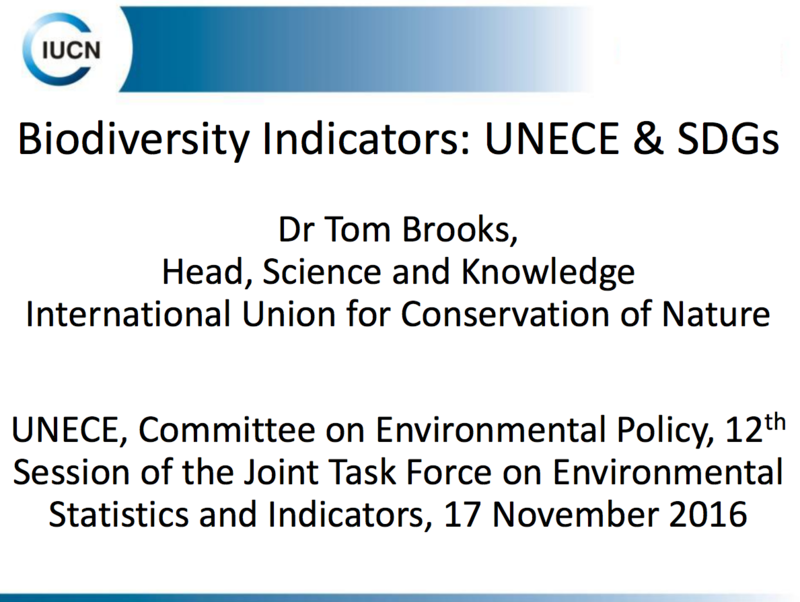 Dr Tom Brooks, Head, Science and Knowledge International Union for Conservation of Nature UNECE, Committee on Environmental Policy, presentation on Biodiversity Indicators: UNECE and the SDGS at the 12th Session of the Joint Task Force on Environmental Statistics and Indicators, 17 November 2016. Recent expansion of the scale of human activities poses severe threats to Earth’s life-support systems. Increasingly, protected areas (PAs) are expected to serve dual goals: protect biodiversity and secure ecosystem services. We report a nationwide assessment for China, quantifying the provision of threatened species habitat and four key regulating services—water retention, soil retention, sandstorm prevention, and carbon sequestration—in nature reserves (the primary category of PAs in China). Successful land claims on protected areas by previously disenfranchised communities often result in co-management agreements between claimant communities and state conservation agencies. South Africa, in particular, has pursued co-management as the desired outcome of land claims on its protected areas. We review four cases of co-management on protected areas in South Africa, and reflect on the appropriateness of the pursuit of co-management as the preferred outcome of land claims. Landscape structure not only reflects the natural settings of the landscape but also its history and the impact of human activity. Information about the characteristics of the landscape elements in terms of their structural functionality plays a central role in assessing their ecological quality. Statutory designation of sites plays a key role in conserving and maintaining valuable parts of the landscape. In this study, we investigated whether protection status influences functionality in case studies from the Czech Republic, representing three different landscape types. Protected areas are regarded as the most important tool in the conservation toolbox. They cover >Â 12% of the Earth's terrestrial area, with over half of this designated since 1970, and are thus a unique example of governments and other stakeholders consciously changing management of land and water at a significant scale. The Convention on Biological Diversity (CBD) has a global programme to complete ecologically-representative protected area networks, and this is driving the creation of large numbers of new protected areas.